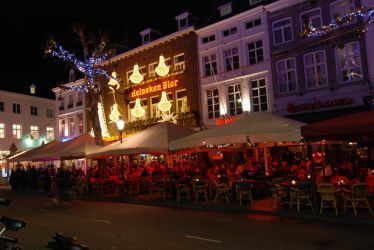 As most of the students from Maastricht University, I went home for Christmas leaving Maastricht empty. I used four different means of transport including a rented car. I got home fast and and in a comfortable way. 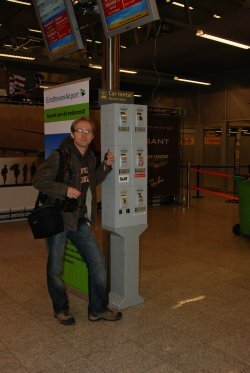 My plane to Brno was scheduled to leave Eindhoven at 8 a.m., in order to check the luggage, we had to be at the airport at 6 a.m. For this purpose we rented a car from Sixt.nl, so we didn't have to spent the night somewhere in Eindhoven. At this moment, it's convenient to mention the point, that Airport in Eindhoven is closed from 22 p.m. to 5:30 a.m. According to Google Maps, Airport is located about 90 km from Maastricht, so we decided to leave before 5 a. m., in order to be sure that we have some extra time in case something happens. Why I didn't fly to Prague? Well, it was cheaper to fly to Brno and as I live in Náchod, I am almost indifferent between these two airports. I picked up all my passengers – 3 girls and we left Maastricht at about 5. I was really glad, that we got a big car, because it was comfortable and girls had really big luggages. I put the Airport location as target for GPS navigation on my smartphone, just in case. The way is easy to follow – just drive on highway A2 and after we reach Eindhoven we will follow the signs. After a bit playing with the car computer, I managed to switch on the tempo-mat. The roads were empty, we had time so I decided to save some fuel by setting the speed to 110km/h. We didn't managed to turn off the display of the radio, which was a bit annoying – it was to shiny, but nevertheless the trip was smooth. We talked and I enjoyed driving. We took exit 31, so we could refuel the tank in order to return the car with full tank. I put there 7.55 l, which I expected to be less, as my consumption on the highway was usually 6l/100km or lower. Whatever, not that bad. Eindhoven Airport is closed over night, so we needed to changed our plans concerning spending the night before we fly to home for Christmas. One solution was available and worth trying - renting a car, so we can get at the airport exactly on time. How to rent a car in Maastricht? It's actually pretty easy. I never rented a car, so obviously I had a lot of questions and I was not sure wheather I want to do it now. But the thing was, that it was a really nice solution to our problem and not that expensive. 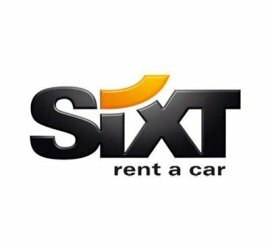 After my friends dig out more information I made a reservation via internet at the home page of Sixt.nl for a middle class car – Open Astra or similar. The day after, I called there and made a reservation for a smaller one, as no bigger was available – I was not sure, if my previous order went through, as I got no call back. Ok, deal is to pick it up at 1 o'clock – the office is near the train station in Maastricht. After some stuff I needed to do in the town I met my friend Petra at the train station and we went to pick up the car that we need the next day morning. Well, because of my double order, we got lucky – we got bigger car for the price of a smaller one! One day, fully insured, leaving point Eindhoven Airport and 150km included cost about 55€. We also add gas consumption as we have to return the car with the full tank. It's strange rule, as for example in our case, the nearest gas station is about 4 km away and I could not find on the map, if it is open 24/7. Well, renting a car showed to be easy. Another official event at School of Business and Economics at Maastricht University I had opportunity to attend. This time as a guest not as a part of the promotion team. A friend of mine come to get her diploma and I offered to make some pictures. 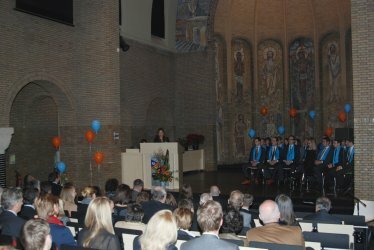 The Graduation ceremonial at School of Business and Economics at Maastricht University takes place in the Aula. Somebody calls it "church" so it gives you the image, how the place looks like. I connect the University with academic environment and I also connect it usually to old building and history. I do not now why, I just do, even here even though I am aware of the fact that Maastricht University was established about 30 years ago. But at least SBE is located in city centre of Maastricht, so the history is still there. The dress code for the event was obviously the suit and the graduates also got a blue scarf with the Maastricht University on it. Quite nice actually, as It made the graduates distinctive from their families and friends. At the entrance I saw a guy I know from Open Days (Bachelor's and Master's). He was again working for the UM and told me, that there are 4 sessions today we are the 3rd. Wow, that's a lot of people who finish at SBE. But if I take the size of the school, that's actually not surprising. Winter time is already here and Vrijthof in Maastricht changed according to that - it provides Christmas market, ice rink and a big wheel. There is also an ice show accompanying the grand opening, let's take a look. I opened my university e-mail and I found a like to events in December. I saw there, that on Friday, December 2nd, there was a festive opening by mayor Hoes of the wintry event Magic Maastricht. The opening is a spectacular show with fairy-like, gigantic stilt-walkers and an acrobatic ice show. It took place on Vrijthof. Hm, Ah.. that was it, I was wondering what was going on, when I went to the . Sounded nice, so just after I finished my last dinner in second period of the eating experiment, I went home to leave my school stuff there, take my camera and to ride to the city centre, so I could be there at 17:30 when the opening should have started. The Vrijthof square was transformed into a large wintry landscape complete with an ice rink, a Christmas market, a big wheel and a grand merry-go-round, amongst other things.